At Plano Eye Care Center, our Plano optometry team is here for all of your eye care needs. One of the popular services we offer is that of a wide optical selection that includes contact lenses. If you’ve been thinking about making the switch to contacts or are simply looking for the best place to buy them, we’ve got you covered. 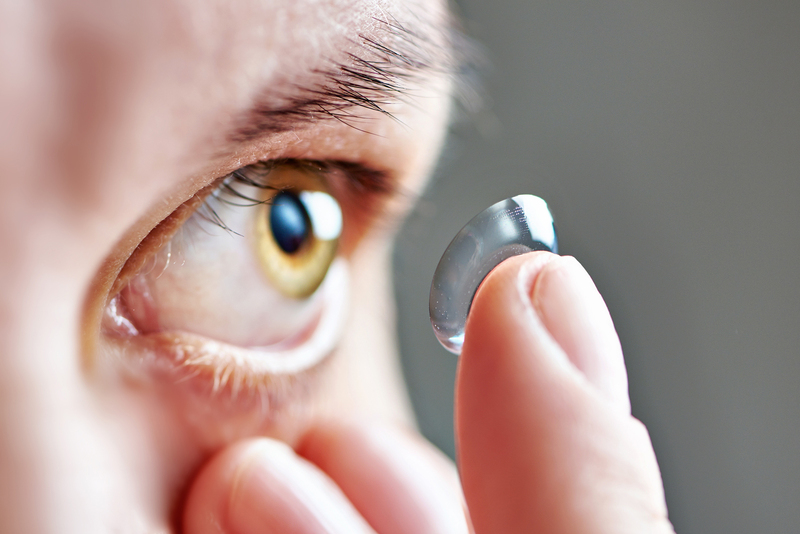 Daily disposable contact lenses are a popular option for those who wear contacts. Specifically, “dailies” refer to contact lenses that you throw out each day after use. This means that you open a new pair of lenses each day, rather than every couple of weeks to a month (as you would with traditional contact lenses). Daily lenses also tend to be softer and more flexible than traditional lenses. Since they don’t need to stand up to weeks of wear (or more), they can be made with softer materials. There are numerous benefits of daily contacts; for starters, many people enjoy the fact that you never have to clean or care for them. Instead, you simply put them in when you wake up and toss them when you take them out. This is great for busy people who don’t have the time to clean contacts every day, or for teens who may simply forget to clean them as needed. Furthermore, with daily contacts, it’s easy to remember when to replace them. Just do it daily! With traditional contacts, you may have to keep a schedule or write down reminders to ensure you don’t wear them past their intended time period. In this sense, daily contact lenses can save you a lot of hassle and stress. Finally, some people with eye allergies see relief from daily contact lenses. With daily contact lenses, allergens and debris that cause irritation never get the chance to build up. Not to mention, a smooth, new lens every day is a lot easier on the eyes than the rigid lenses that come with more traditional options. If you think daily contact lenses may be the right option for you, there are a few important things worth remembering before you make the switch. For starters, keep in mind that you will need to buy significantly more contact lenses that you would if you wore traditional lenses. Specifically, if you wear them every day, you’ll need 30 pairs, which means you’ll need to buy 60 lenses a month. It is worth noting, however, those daily lenses tend to be less expensive due to the fact that they’re made with soft, flexible materials rather than the hard, rigid materials you’d see with regular contact lenses. Request an Appointment With Our Plano Optometrist Today! At Plano Eye Care Center, our Plano clinic has everything you need to care for your eyes. We also offer contact lens exams, which we recommend for those thinking about making the switch. Furthermore, we offer hard-to-fit contacts for those with near/far-sightedness, astigmatism, and other eye conditions. Contact our team at 972-964-3937 today to schedule your appointment with us or to simply find out more about what we can do for you. We would be happy to find an eye appointment date and time that works with your busy schedule.